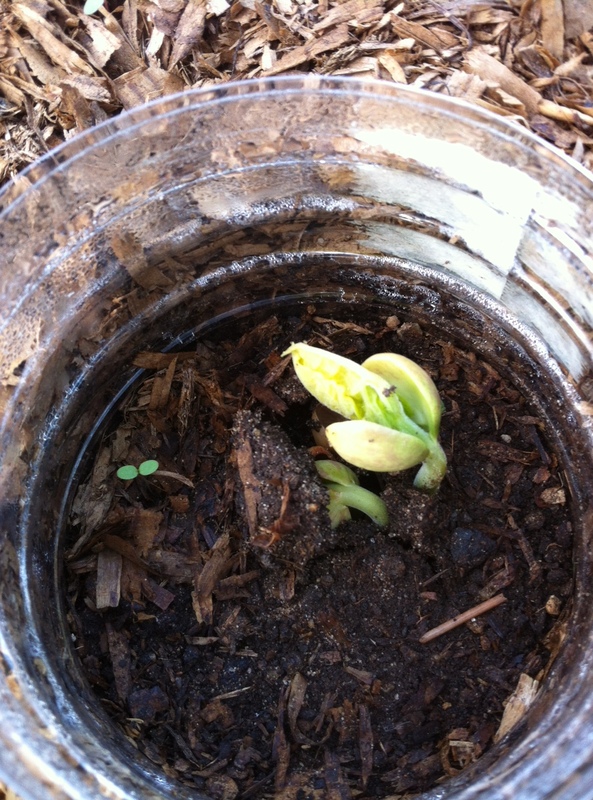 We planted pole beans and cucumbers in the garden about 10 days ago and they recently sprouted! 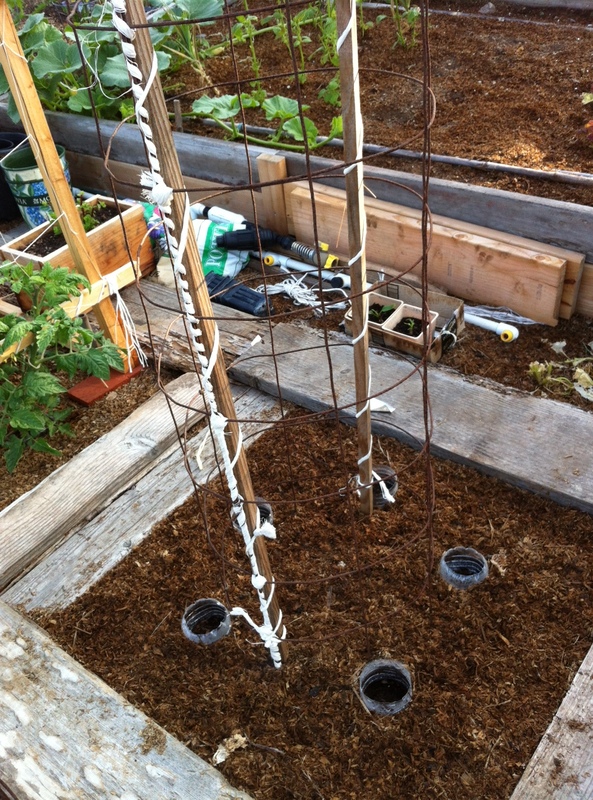 Pole beans planted around a wire cage and cucumbers planted under a trellis. Baby bean and cucumber sprouts. 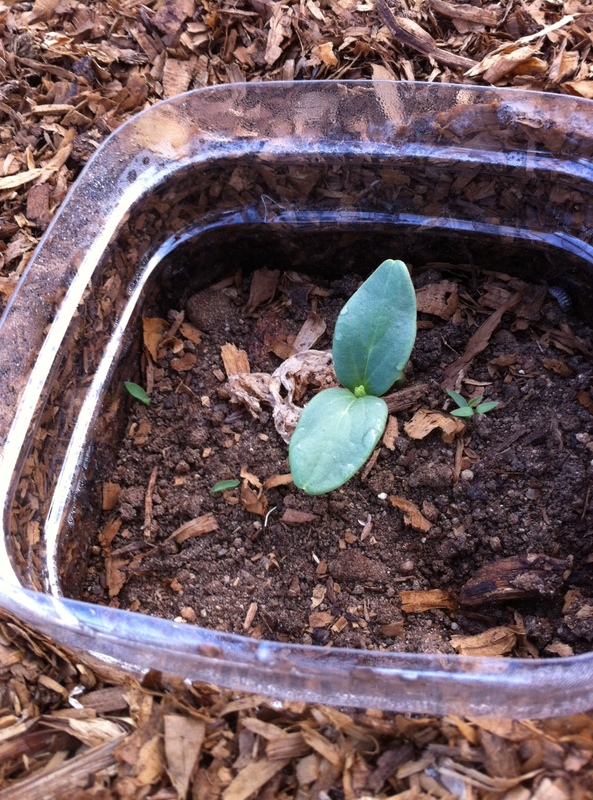 The cucumber seeds were started under plastic bottles with the bottom removed to create a mini-greenhouse. After the seeds had sprouted, we removed the bottles and replaced them with plastic rings cut from water bottles to keep the seedlings separated from the mulch. 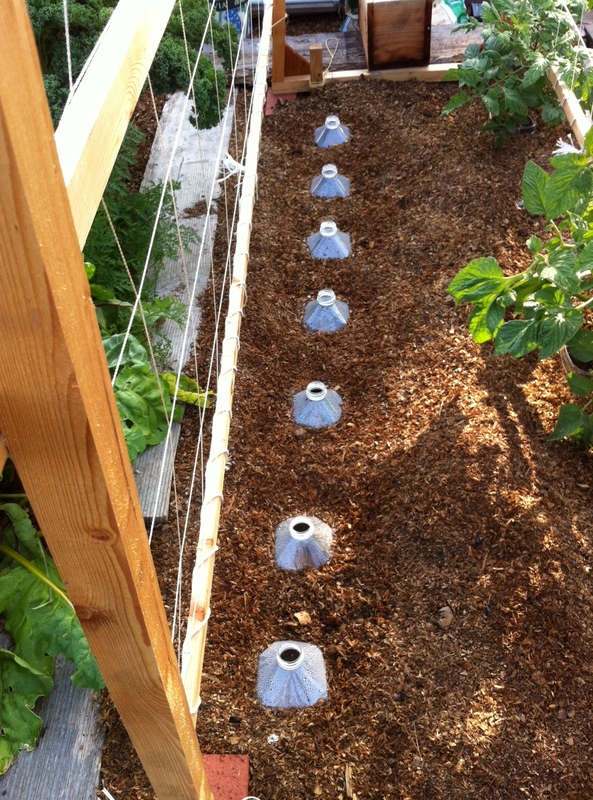 This helps to keep the seedlings from staying too moist which can cause disease. We have also been harvesting blueberries as they ripen. Blueberries don’t ripen all at the same time so you should check every couple days and harvest the ripe ones. It can be a little tricky to tell if blueberries are ripe, but look for berries that are completely blue/purple without any hint of green. 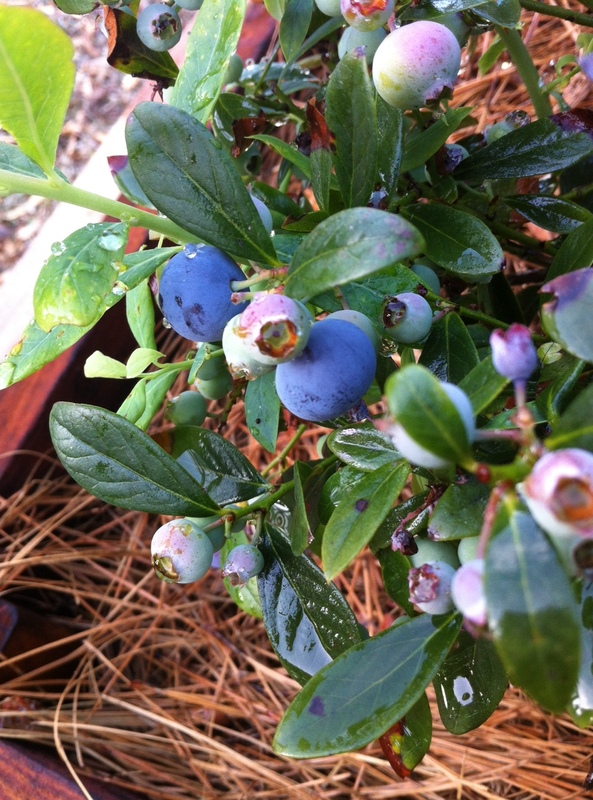 Blueberries can also be sweeter if left on the bush an extra day or two after they turn colors. Just remember to pick them before the garden animals do.